Leave it to the magnificent Oscar de la Renta, to design a collection filled with more baubles and bangles and beading than a remake of the movie Cleopatra. 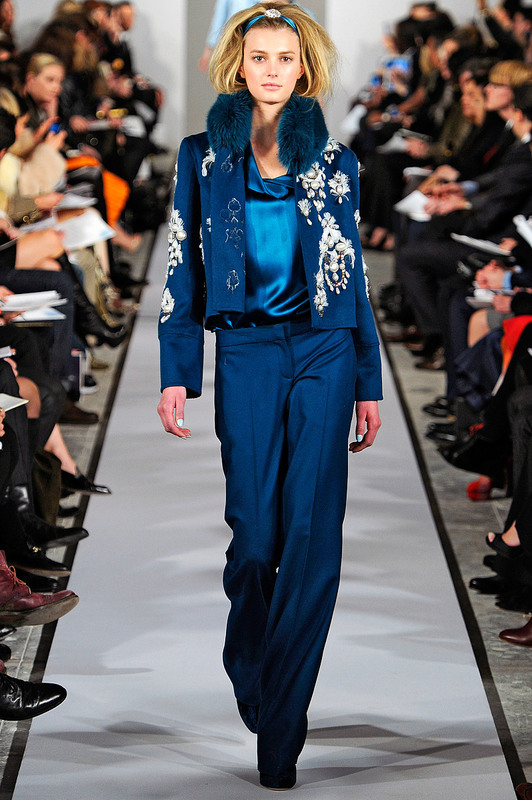 Oscar de la Renta’s Fall Collection premiered this week with a massive 62 outfits. 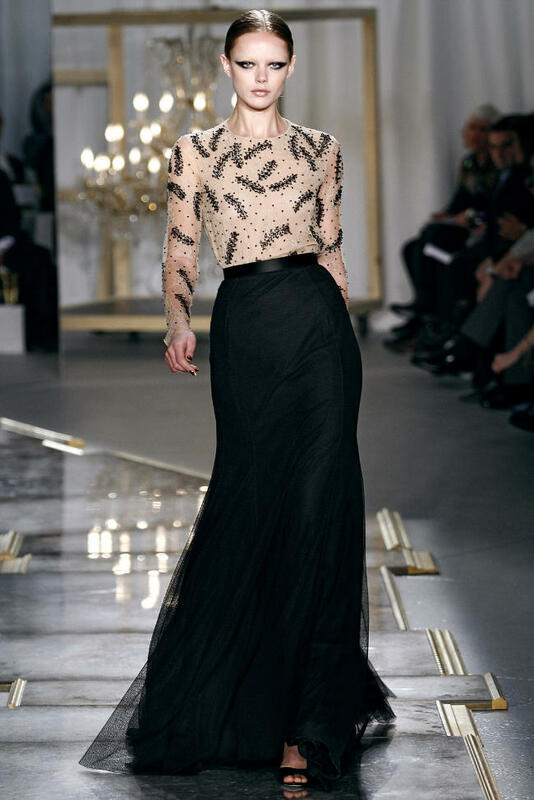 There were so many looks, so many different fabrications and so much intricate detailing that the mantra surely most have been “More is More” for Fall 2012…. 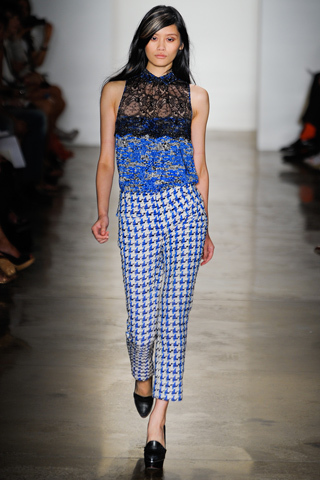 The BCBG Collection was filled with one central design theme…Color Blocking. With the exception of this basic black trench featured above the colleciton reads like a paint sample swatch sheet on steroids. Not one of my faves….but you probably figured that out already. 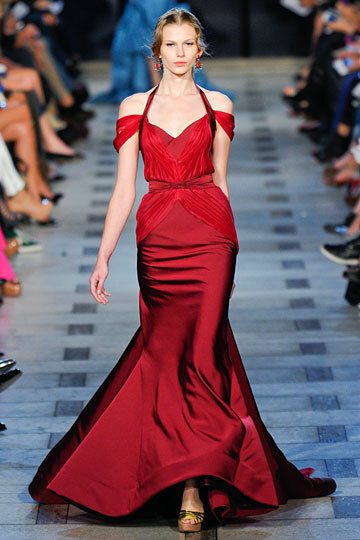 Zac Posen is having a Ball! 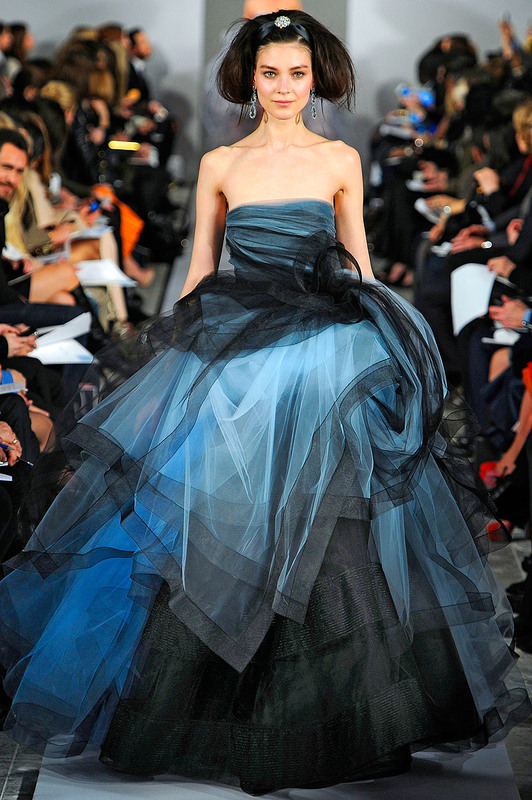 Zac Posen’s latest collection for Spring 2012 was filled with one fabulous ballgown after another. In an effort to put a little spring back in your step on this Tuesday, I thought what better way than a quick glimpse of what Zac gave back to viewers at New York Fashion Week. Enjoy! So.o.o.o.o Sleek, modern and classic. 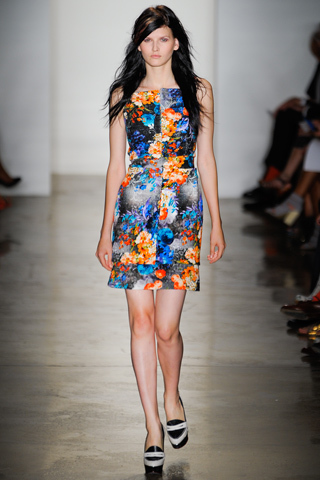 It’s New York Fashion Week for Spring 2012. The collections have just started to grace the catwalk and I’m here to tell you that Spring 2012 looks verr.r.r.y bright. Warm weather naturally inspires a vibrant palette and Spring 2012,has hints of color from the greatest designer of all…Mother Nature, including sky blue, orange melon, sunny yellow and more. Of course you do have your standard bright white and basic black but for the most part collections are infusing jolts of colors and prints that will make you long for more warm weather days ahead. There was a major snafu in the fashion world last week when Designer John Galliano, voiced anti-Semitic thoughts in a very public way. (The rant was similar in tone to the numerous Charlie Sheen tyraids except different subject matter and without the hookers..I mean girlfriends). Galliano was immediately fired from the House of Dior Couture and is believed to be in rehab somewhere in the United States. 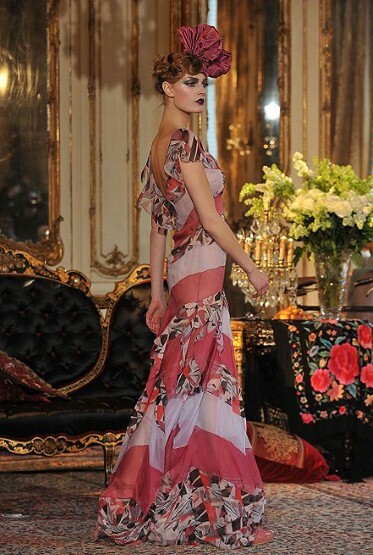 Sidney Toledano-President of Christina Dior decided to cancel the catwalk scheduled for last Friday and instead have an intimate presentation on Sunday in a flower and antique strewn filled mansion. 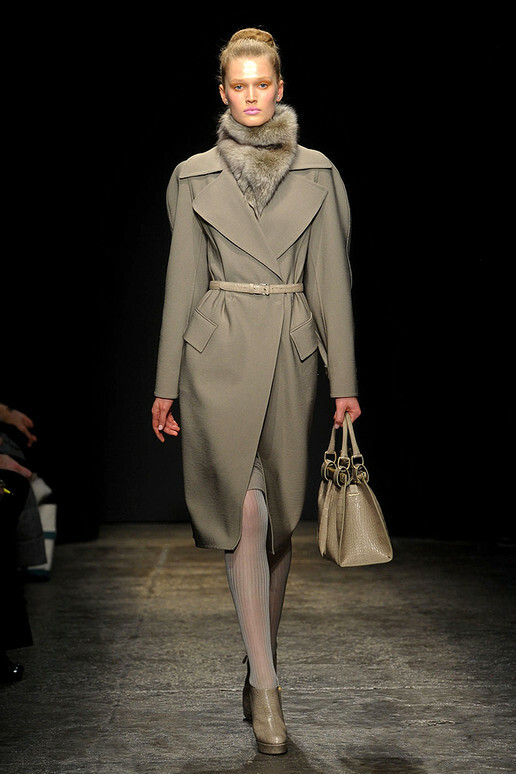 Here is a glimpse of the Galliano Autumn/Winter 2011 Collection. Let us hope that the very talented yet troubled Mr. Galliano receives the help he so desperately needs. P.S. Mr. Galliano-If you are in rehab in the U.S. please be advised that Charlie Sheen is doling out recovery advice..if you should bump into him at any time in rehab or receive a call and find yourself listening to him..write it down and do the exact opposite of whatever he says..just a heads up! 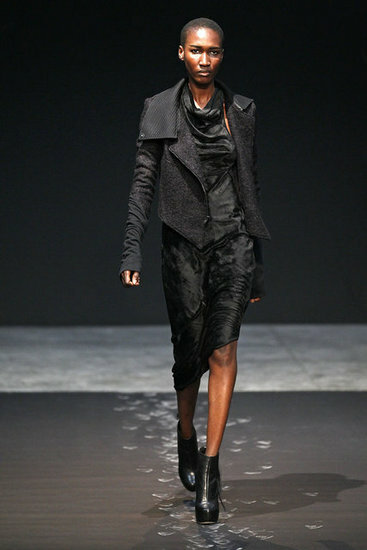 Elie Tahari recently presented his Fall 2011 collection. Known for designing office ready separates-it is quite apparent that Elie has upped the ante with a luxe look for the working woman.Wear any of these outfits to the office-and you will be the fashion buzzzzzz around the water cooler! I bet my morning latte on it! 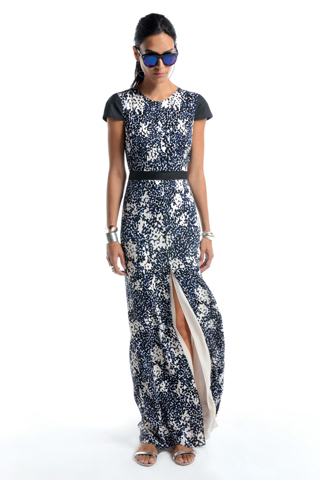 Donna Karan Designs “Graceful” Collection. 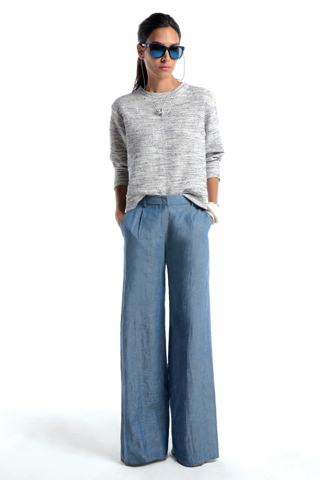 Donna Karan is one ambitious woman. 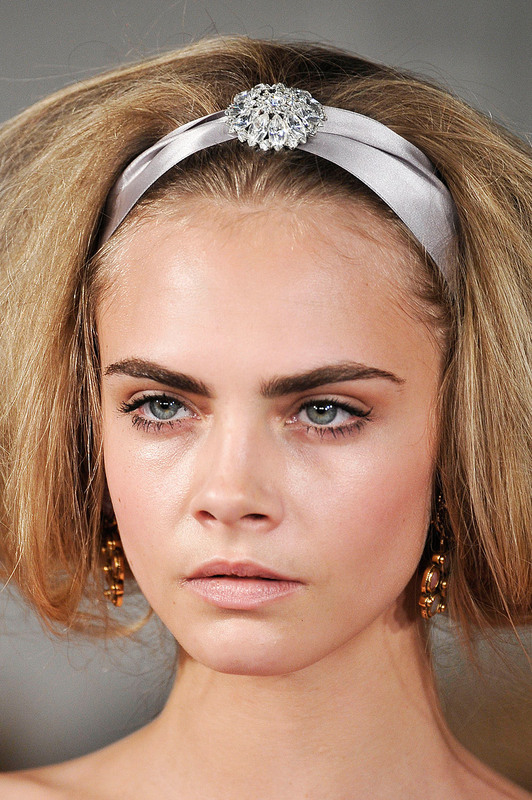 Every season she designs two…count um …two separate collections for New York Fashion Week. Her very upscale “luxury collection” is appropriately names Donna Karan, and her secondary line which evokes a very hip, uber chic and trendy look is named DKNY. Donna presented both collections this week and true to form the Donna Karan Label was exquisitely designed with fabrications that literally flowed over and around the body. 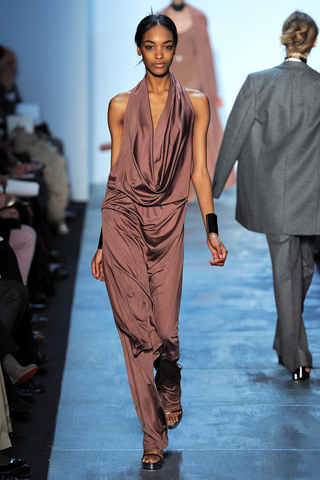 I have always said that nobody… but nobody, drapes fabric better than Donna Karan. I often wonder when I view a collection where the design inspiration comes from? 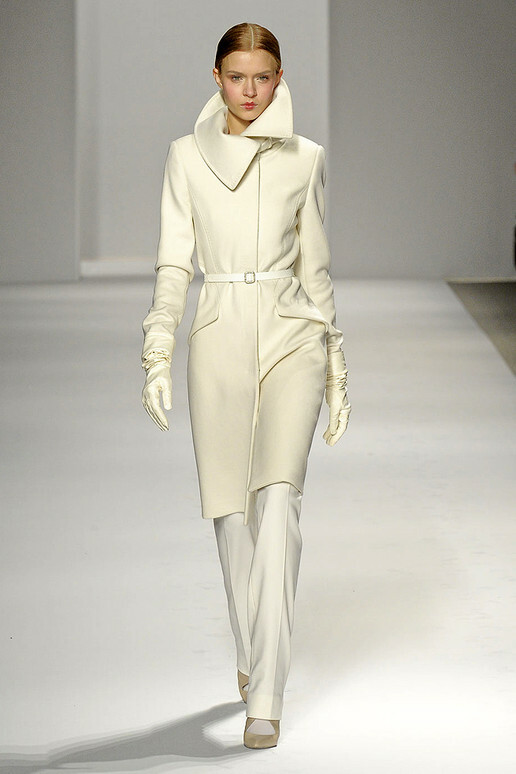 This Fall 2011 collection for the Donna Karan label had me thinking that perhaps Donna was channeling, Grace Kelly in her heyday (think 1950’s Hollywood starlet and early days-Princess of Monaco). Look closely and see if you don’t notice Grace Kelly “signature pieces” within the Donna Karan Label: the long scarf wrapped around the neck, the structured handbag, the simple lines of the wrapped coat and the cinched in waist on her jackets. All so beautiful. All so well constructed. All so GRACE – FUL!!!! Michael Kors Design Inc. Turns 30! 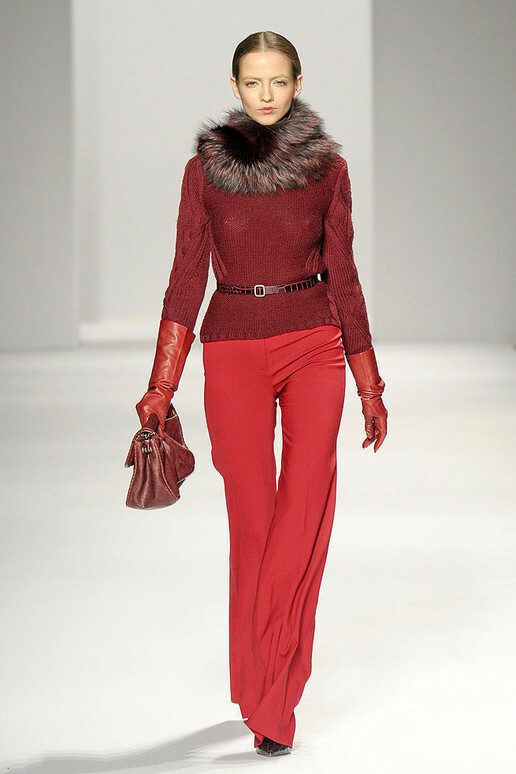 Michael Kors Fall 2011 Collection graced the runways in New York today and it was a momentous occasion. Not only did Mr. Kors present 64 complete looks for both men and women (which P.S. by the way were G O R G E O U S!!!!) but the Kors Design house celebrated 30 years in business…, Michael Kors started designing when he was 19 years old and here we are 30 years later and the Kors name is synonymous with the BEST in American Classics. Happy Birthday Michael! 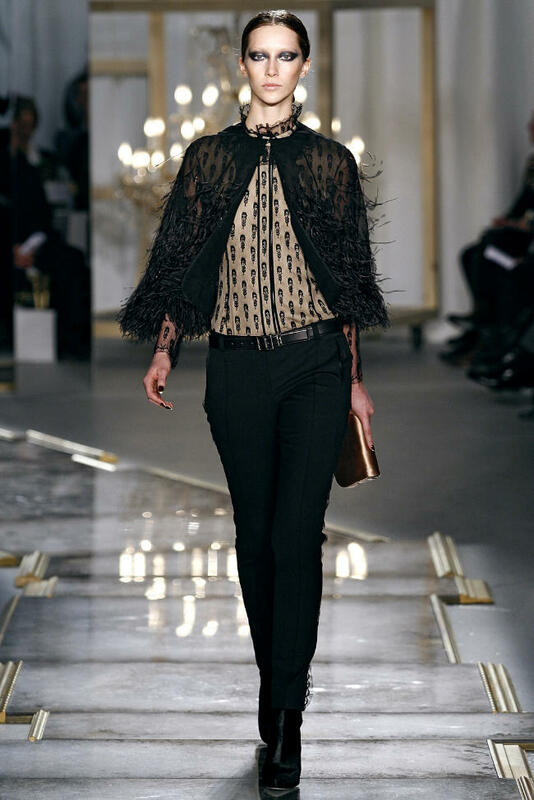 Jason Wu on Speed dial! First Lady Michelle Obama literally put designer Jason Wu on the fashion map when she wore his beautiful white gown to the Inaugural Ball in January 2009…. 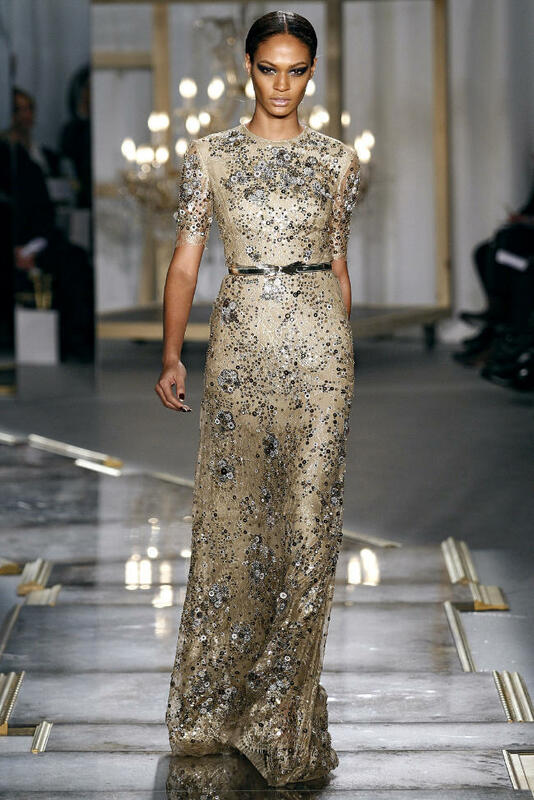 Fast forward two years and Jason Wu is still going strong. 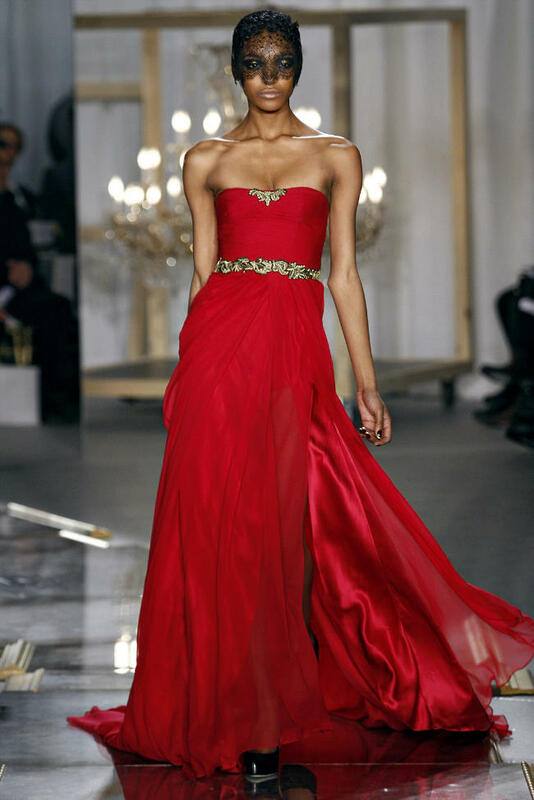 His Fall 2011 collection at New York Fashion Week is a beautiful mix of intricate detailing, lush fabrications and exquisite styling…I have a feeling that this collection will have Jason Wu on First Lady Michelle Obama’s speed dial.